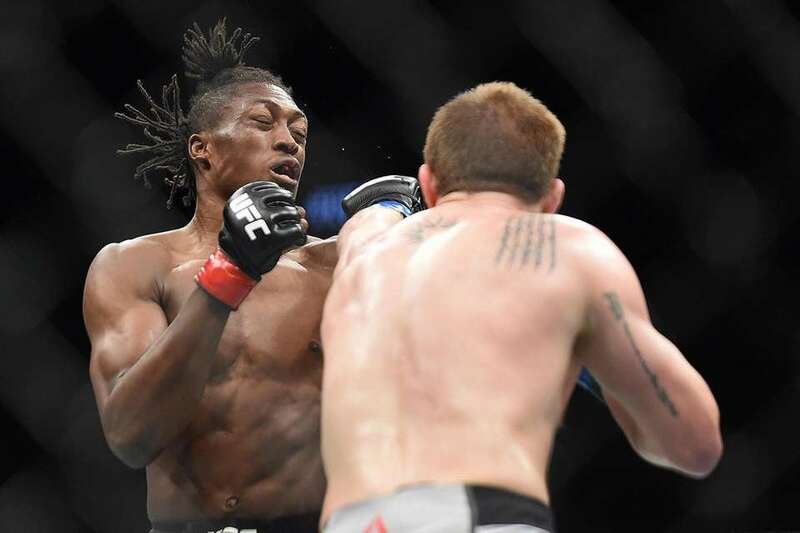 Matt Frevola, a Longo and Weidman MMA fighter from Huntington, defeated Jalin Turner via unanimous decision at UFC 236 in Atlanta on April 13, 2019. 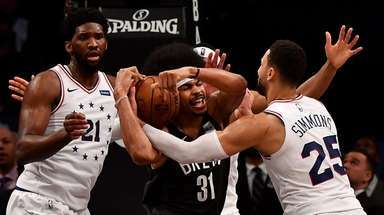 All three judges scored the bout, 30-27. 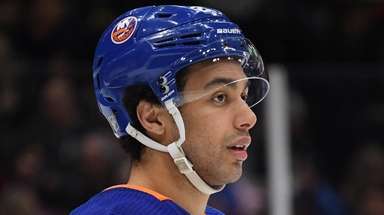 "I knew he was a strong striker, so the plan was to make it a dirty-style dog fight. 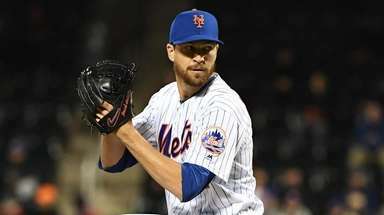 I win those style fights 10 times out of 10 and that was the result tonight," Frevola said after the win. 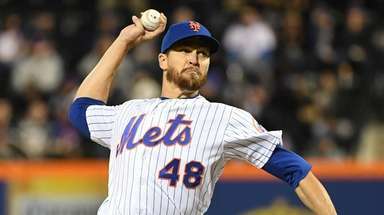 "He’s so tall and has that reach, he was switching stances on me and timing his knee well. When I caught him from the bottom, I was just scrambling. He defended the takedowns well with his sprawl – I should have used the cage more to my advantage. The submission attempt was so close, I could hear him starting to gurgle. The first round I had his back and should have pushed more to get the finish. I’m happy to take this win and the experience from this fight." 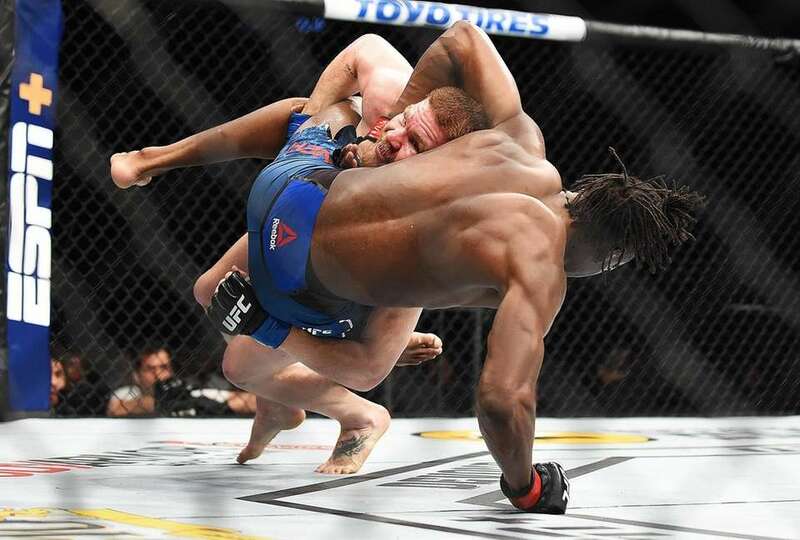 Matt Frevola takes down Jalin Turner during the UFC 236 event at State Farm Arena on April 13, 2019 in Atlanta, Georgia. 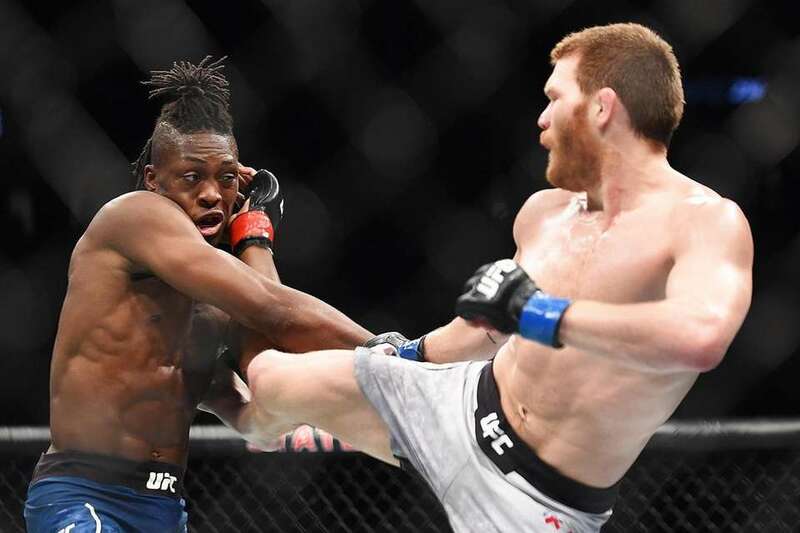 Matt Frevola kicks Jalin Turner during their bout at UFC 236 at State Farm Arena on April 13, 2019 in Atlanta. 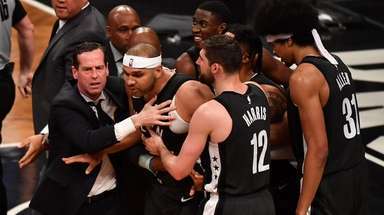 Matt Frevola punches Jalin Turner during the UFC 236 event at State Farm Arena on April 13, 2019 in Atlanta, Georgia. 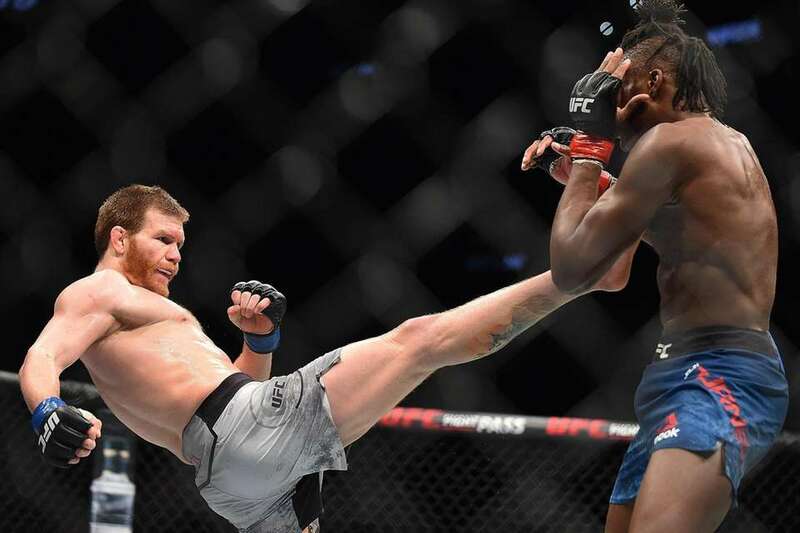 Matt Frevola kicks Jalin Turner during the UFC 236 event at State Farm Arena on April 13, 2019 in Atlanta, Georgia. 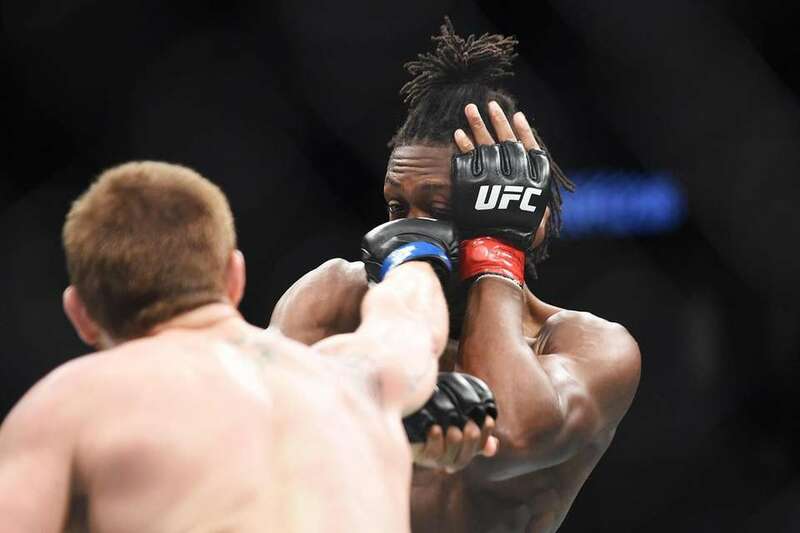 Jalin Turner takes down Matt Frevola during the UFC 236 event at State Farm Arena on April 13, 2019 in Atlanta, Georgia. 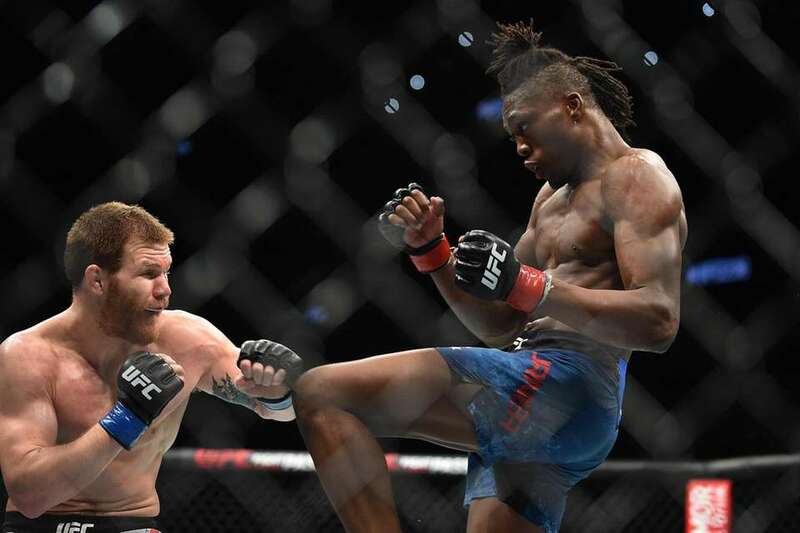 Jalin Turner looks to knee Matt Frevola during the UFC 236 bout at State Farm Arena on April 13, 2019 in Atlanta, Georgia. 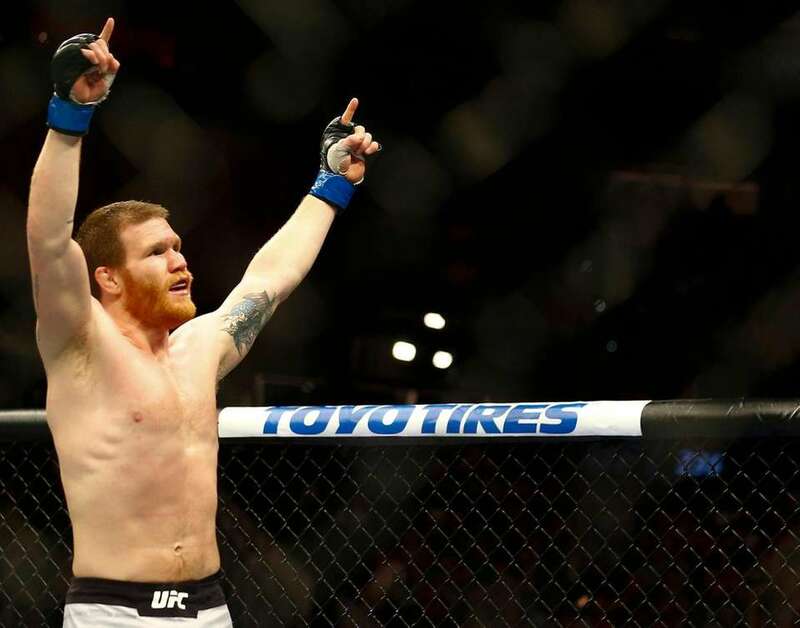 UFC fighter Matt Frevola celebrates after his match against Jalin Turner after an ESPN lightweight preliminary round mixed martial arts bout at UFC 236 in Atlanta, Saturday, April 13, 2019.